Laim-Care Gel eye drops provide relief for irritated and tired eyes. Using hyaluronic acid, a substance fully balanced to the environment of the human body, Laim-Care Gel eye drops provide long-lasting comfort. Laim-Care Gel Eye Drops effectively soothe tired and irritated eyes. The active moisturising ingredient in Laim-Care drops is hyaluronic acid – a substance fully compatible with the human body. 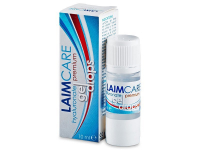 Laim-Care Gel Eye Drops adhere to the surface of the eye, where they can remain longer than normal eye drops. They help to significantly increase moisture and replace natural tears. 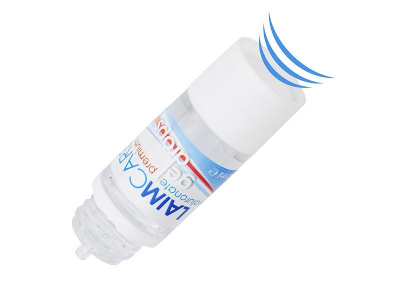 Laim-Care Gel Eye Drops eliminate the discomfort caused by the instability of the tear film of your eyes that may be caused by exposure to wind, dry or dusty environments or pollen allergens. These drops must be used within 30 days of opening. Laim-Care Gel drops are suitable for use with all types of soft contact lenses, but exercise caution if driving, as the formula of these drops is more viscous than normal liquid drops and may temporarily impair vision. Use this when my eyes are feeling a little irritated. Great to have it with me as you do properly notice the difference. Best drops i ever tried! You only need a tiny drop and its keeps your eyes moist for long time. Never gonna buy any other one! Simply the best! Very refreshing drops. The moisture seems to last for a long time. I've recommended them to family and friends. I added these to my order to qualify for the free shipping,, but now I can't live without them. Very comfortable and helpful when working on the computer for many hours. Very soothing, if just a little bit thick. The feeling is good, but I find I'm better off using them at home, rather than on the go. My eye doctor recommended a gel drop, as it tends to last longer on the eye. These have been working wonderfully. I'd been having trouble focusing on things around dusk or sundown, such as illuminated signs at a distance. As soon as I popped the gel drops in, the situation improves. Much recommended. Had a trial of this and it works well.